How Clear is Your Retirement Vision? 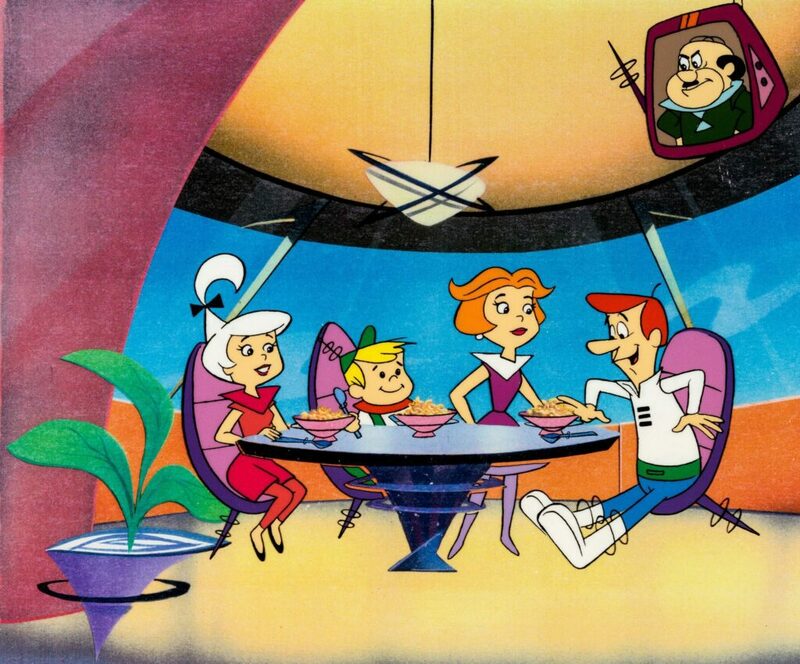 If you are of a certain age, like I am, you grew up watching the Jetsons. It was fun to wonder what would become part of real life in the future. Since we’re now in the future, let’s see how things are stacking up – and what you should factor into your planning for retirement. While it’s a good bet that you’re not retiring with the Spacely Sprockets pension plan, many Jetsonian visions have already come to fruition. You may have a smartwatch. You probably talk with family and friends on FaceTime. Is that a Roomba I hear vacuuming in the background? Next door, is that the annoying neighbor (who is always the first on the block with the latest gadget) with a robot lawn mower going while he’s chilling on the deck. And, according to Bloomberg, flying cars are in the works in Silicon Valley. There’s more on the nearby horizon that may change how you envision your living space in retirement. Remember, Rosie, The Jetson’s robot maid? While we already have Alexa from Amazon, and Looj, the gutter cleaner from IRobot, there are other promising robot assistants expected before year-end, such as Buddy and Jibo. Like Siri and Alexa, Buddy and Jibo leverage voice recognition, but also have facial recognition capabilities. They appear to be useful hubs for managing smart home devices and monitoring using telepresence. My sense is that you can do today much of what the early versions can do with your iPhone, but they are worth keeping an eye on as their functionality expands with advances in artificial intelligence. (As an aside, my wife adds that any additional intelligence will be a bonus for me, artificial or otherwise). The Internet of Things is rapidly evolving and will offer connected devices that will make lives easier in many ways. (And new worries. While I used to worry about my in-laws getting along, what about my refrigerator and my toaster?). This is a space to watch over of the next few years. With 10,000 baby boomers retiring every day, companies are inventing technology related products and services tailored for where retirees live. The market for technology for seniors alone is projected to increase tenfold to $20 billion in the year 2020. For example, Aging 2.0 is a San Francisco based organization that works with entrepreneurs and big companies alike, and others to spur innovation on technology for retirees. Joseph Coughlin, of MITs Age Lab, points out that smart home technology promises to deliver many real benefits to retirees. However, he notes that it will come will additional costs and privacy risks to manage. Hero, a company based in Brooklyn has built a” smart appliance to manage and dispense medications. Phillips recently introduced a new ‘health watch’, which tracks vital signs, activity and sleep patterns. To go with your smart home, you’ll want to upgrade your socks. Here’s a phrase that’s new to me – ‘smart socks’. Fitness company Sensoria has created smart socks with an activity tracker app to help people monitor walking distance and pace in rehabbing from injury or illness. The University of Arizona is working on smart socks that alerts people to issues relating to diabetes. A Philadelphia company, Active Protective, is developing a very cool wearable sensor-based device with micro air bag technology to protect people who are at risk for hip fractures. They also have a sports version in the works. An interesting one is not new at all, but it’s being installed in more homes. Elevators. A recent Boston Globe article noted that installation of home elevators has “increased 40 % over the past five years in Massachusetts.” While costly, having had hip surgery last year, I can appreciate the value of this at home, even if it’s not the cool glass tube version from The Jetsons. A big question most people face early in planning for life in retirement in ‘Where do I want to live?’ Now, a related question is ‘And how smart do I want my home or condo to be?’ While it’s not crystal clear to what extent yet, it’s clear that smart home technology and robot devices will be part of your living space in retirement. While it may not be to the full Rosie level anytime soon, they will offer convenient ways to get certain things done. It’s worth considering how you want to leverage these tools to make your retirement life easier.